Our premium groups guarantee privacy and serenity, a visit to be enjoyed without pressure or rushing around. 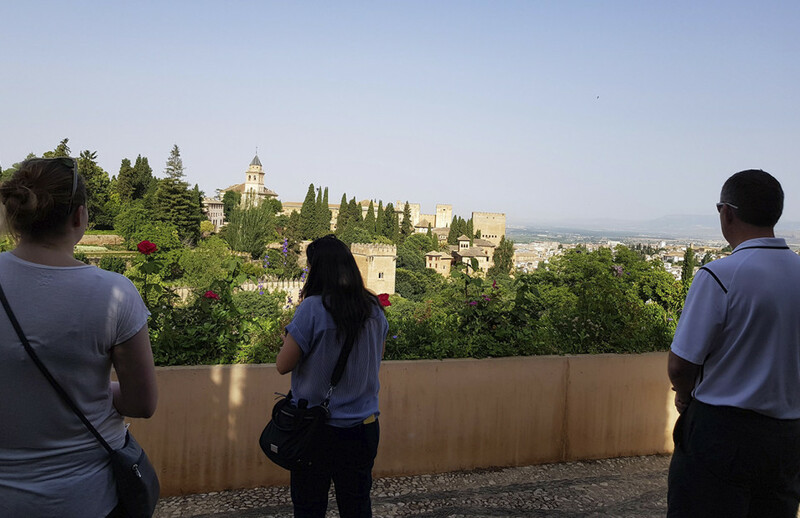 We offer you our experience and professionalism for the most enjoyable tour of the Alhambra. Reduced groups of maximum 12 participants. English and Spanish (occasionally tour may be bilingual). 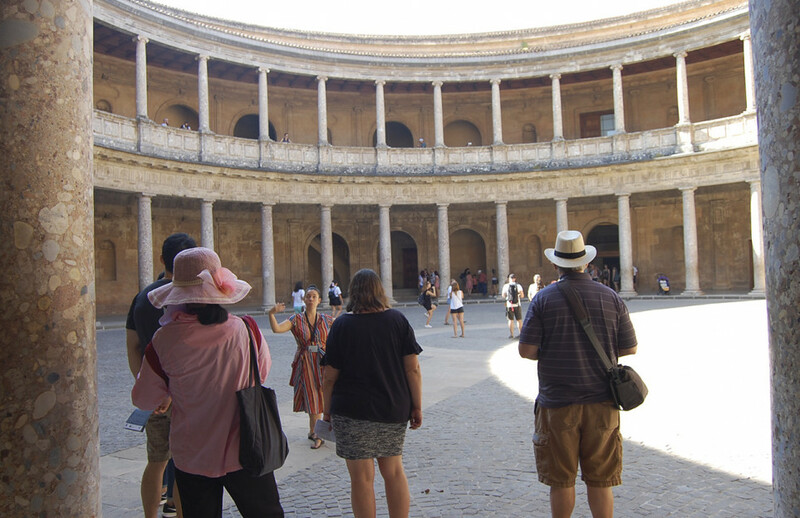 Book a place with our premium small groups and discover the marvels of the Alhambra alongside one of our professional guides. We would like to accompany you on a journey to the Granada of the Nasrid dynasty; you’ll follow in the steps of the sultans and kings who left us places as remarkable as the Court of the Lions or the Court of the Myrtles. 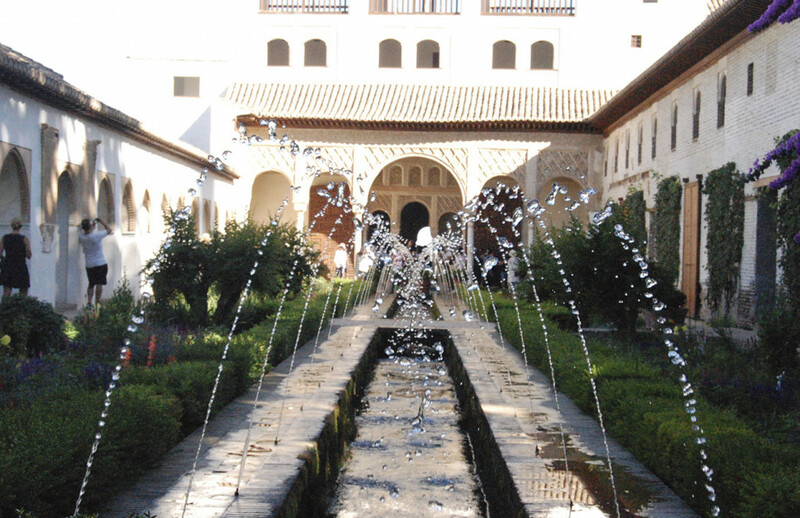 Our guided tour of the Alhambra is organised in accordance with the time set to access the Nasrid Palaces by the Alhambra Trust, so that nothing is left out. You’ve only got to worry about enjoying this journey back through history using all your senses. 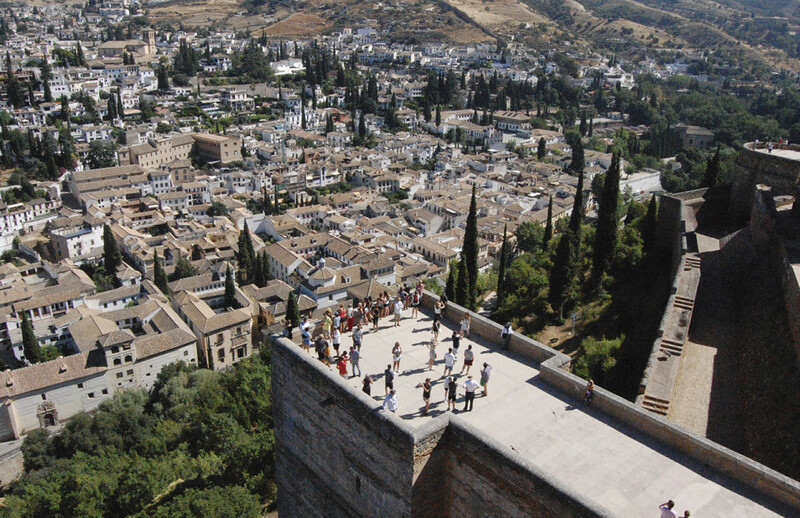 The Alhambra is the monument that attracts the most visitors in Spain. Every year, nearly 3 million visitors are enchanted by the fascinating decoration of its medieval palaces and the peace and tranquillity expressed in its gardens. Don’t miss out on this architectural and cultural wonder and book your guided tour now. Put your trust in Cicerone for your Alhambra tour, our many years of experience is what endorses us. The sooner the better though, because our groups are limited and tend to sell out quickly.